If you’ve written blog posts in the past then you’ll usually get one a two comments agreeing or disagreeing with what you’ve written. That’s not to say right or wrong, there are many more than 50 grey areas in SEO these days, and that’s where you’ll get an idea from. If someone has challenged you on a blog post you’ve written, you can either take inspiration from them and see whether you can write a blog post from their view. Or you can dedicate a whole blog post to slam dunking their argument into the bin. It’s up to you. This can be worked in a few ways. If you’ve had a great success story recently with one of your clients, brag about it. Why not? You’ve put in the hard work, determination and man hours, so a little recognition is what you deserve. Plus this puts your work right in the shop window, giving you something to show off to potential new clients. Also, you could ask some of your clients for a review of your product or service. You can then thicken this out into a blog post where you agree, disagree and applaud your clients review on the matter. This again puts you in the shop window, as people can see you’re understanding and appreciative of the feedback you have from your clients. If you’re proficient in Social Media then you should be on all of these platforms and better still, you should have networked with several other companies who are all in similar industries to you. This way you can peruse their updates and wait for inspiration to strike. This could be critiquing what they’ve said on a certain matter, or even identifying yourself with what they’ve said, but go into further detail than they have. If they’ve mentioned something along the lines of one topic, this could set the cogs in your head whirring off on a different tangent, one you could write a blog about. 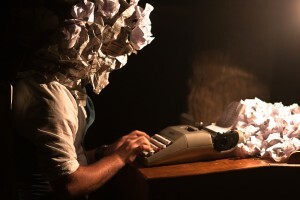 Follow these tips and you should find yourself with plenty to write about, saving yourself from the dreaded writers block.